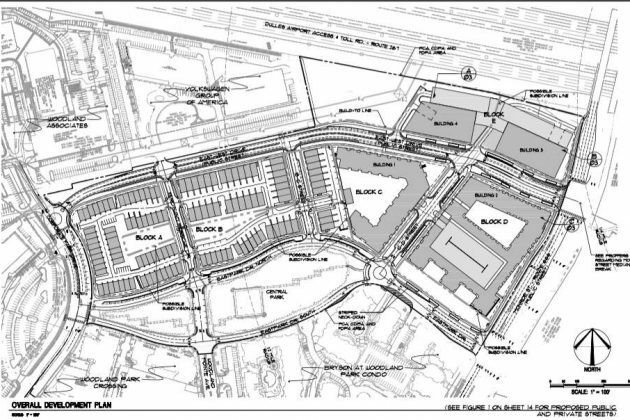 The Woodland Park area of Herndon may soon be getting even more crowded. Currently vacant land to the west of Monroe Street, behind the Woodland Park Crossing Shopping Center, is being proposed for a future residential/mixed-use development. 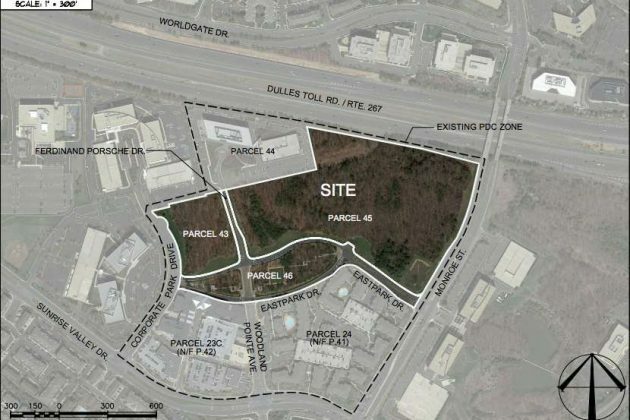 The proposal for the 31.59-acre lot is scheduled to be discussed in a public hearing next week with the Fairfax County Planning Commission. The property borders the Dulles Toll Road to the north and is very near the planned Herndon Metro Station. On current streets, the drive to the station would be slightly less than 1 mile; on a new crossing with Monroe Street proposed in conjunction with project, it would be only about half a mile. A similar project, the Woodland Park Waterview apartments, was approved last month by the Fairfax County Board of Supervisors. 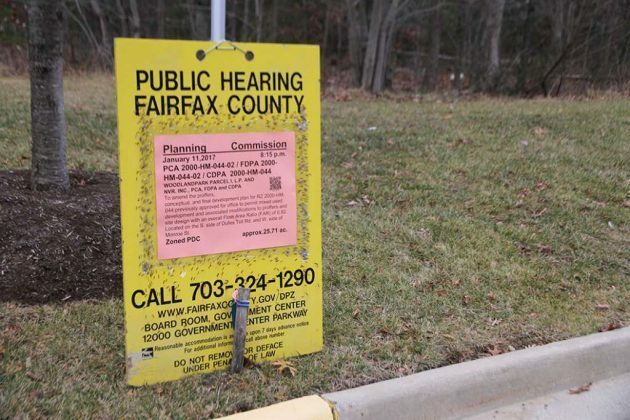 The Fairfax County Planning Commission will meet Wednesday, Jan. 11, at 8:15 p.m. in the Board Auditorium of the Government Center (12000 Government Center Parkway, Fairfax).